The former Jammu and Kashmir Chief Minister was reacting to Geelani's statement in which he had denounced Farooq Abdullah for saying that “Azadi and independence is no option”. SRINAGAR: Former Jammu and Kashmir Chief Minister and opposition National Conference working president Omar Abdullah on Monday hit out at hardline separatist leader Syed Ali Geelani describing “hypocrisy as his trait”. 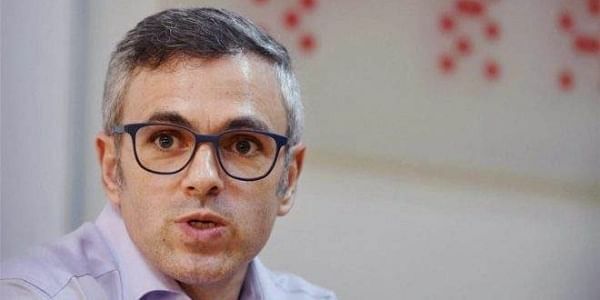 “It’s not surprising that the separatist camp has chosen to react to what the NC president Farooq Abdullah has said and not to what the Pakistan Prime Minister said,” Omar tweeted. He was reacting to Geelani's statement in which he had denounced Farooq Abdullah for saying that “Azadi and independence is no option” and those demanding it was “wrong”. Farooq had on Saturday said “Azadi and independence” was not an option for Kashmir as it was landlocked. The hardline separatist leader had said the power-hungry politicians always played “deceit” and these “irresponsible and short-sighted” people have always served the interests of their masters. Reacting to Geelani’s jibe that their “ancestors were forced to beg for CM’s berth”, Omar said, “Yes, while Farooq Abdullah’s ancestors were engaged in a struggle this man was fighting elections and cosying up to Janata Party”. Before Farooq’s statement, Pakistan Prime Minister Shahid Khaqan Abbasi had also said “independent Kashmir” was not an option but the separatist camp except for JKLF chairman Mohammad Yasin Malik had remained silent and did not react. Geelani had been a member of State Legislative Assembly before the eruption of militancy. However, after turmoil in the State, he joined the separatist camp and favours the valley state's merger with Pakistan. “What politics of hypocrisy is this? Geelani couldn’t say a single word about the Pak PM but expressed selective outrage when Farooq expressed his views on this issue”, Sagar added.